Last week I asked my old friend David Board, to deliver yet another airplane for me, this one to the far West. With David, you don't get just a well done delivery, you usually get a story too. Sure enough, there was another good story in this flight, and here is is. Thanks, Dave! I got a call on my cell phone last week, totally out of the blue as they say. This call came from Steve (Dude's man) Weaver, who has toiled for decades in the general aviation world and in that time has proved himself to be a good and trustworthy friend and compadrea. 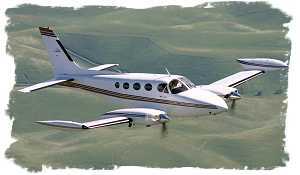 Today's call was Steve asking me to deliver a Cessna 340 from the Pittsburgh area half way across the country to the Denver area of Colorado. "VFR all the way from there to here, with just a few scattered rain showers here and there..." In South West Pennsylvania that morning it was one of those glorious Sunday mornings when I wished that I had a picnic hamper, a chase crew and a great big hot air balloon to fly. Out west in the plains states however, the weather situation was just a little different. At low altitude it was VFR with some marginal visibilities. But there was something ominous happening along a stationary front with an east west line, that the weather charts forecast to run along our rout of flight. The front 'shadowed' Interstate 70 and our course and the stalled front were both running right across the central prairies, in an almost straight course that ran right through Kansas City to Denver. This Cessna 340, I quickly discovered was with out a doubt one of the nicest ones that I have ever had the privilege to fly. There were of course, as with any airplane that is almost 30 years old, a few minor issues that came to light during the course of the flight to Denver. But generally speaking, this old pressurized Cessna flew like a new one and it felt to me as if I was flying an airplane that had been operated on a Part 135, or a commercial certificate, for it was well maintained. And although the instrument panel was all "steam and clockwork' as they say, it was still an exquisitely well appointed radio stack with top-shelf goodies from the heyday of the piston powered airplanes. Furthermore, this glorious beast had a Ram 4 conversions complete with inter-coolers and winglets. The winglets are great because they make the airplane fly as if it had an extra 3 feet of wing each side! It was also sporting Q tip props. There were even fire suppression bottles under the engine cowlings, and twin digital fuel flow meters as well as the standard Cessna's capacitance fuel metering system. Someone had even installed individual digital readout of all the cylinder and exhaust gas temps on both engines. We would indeed be riding high and sitting pretty on our flight to Denver! Wayne , the prospective purchaser, was a trifle late getting to the Washington airport because the car service he had hired didn't show up at the Pittsburgh airport to meet his flight. But Wayne, an accomplished puzzle master and a very resourceful guy, simply hailed a cab. However, the cab idea could easily have turned into a disaster, as this cab driver knew how to navigate to the small town of Washington, but he had no idea how to find this small town's airport. It is a sad fact that very few people in Washington, PA really know where the airport is. So now for the second time that day Wayne stepped up to the plate and saved the day. 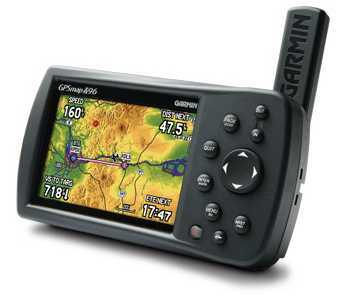 He just happened to have a brand new Garmin 496 GPS that he planned to use on the flight to Denver. But the truly amazing thing about Wayne and a testament to the powers of his intellect, he was able almost effortlessly to convert the GPS that he had never actually used before, from flight and airways mode to a ground terrestrial mode. Once he had that accomplished he could simply sit back, relax, and direct the cab driver by the shortest and quickest rout to the airport. I completely forgot to ask him if the Cab driver gave him a discount or a tip! As soon as I realized that Wayne had been delayed, I did the preflight and filed an IFR flight plan so we could be on our way with a minimum delay on his arrival. The first leg of the flight took around three hours and was fairly uneventful and we landed and refueled at Chicago, Illinois. This just happened to be, what in flying terms was Wayne's Alma Matter; where he first learned to fly. We refueled and this time we topped the nacelle tanks that extended our range a little over an hour, depending on how many horses you need out there helping you along.. But from Chicago on, the flight began to get more interesting! The first problem we had, if you can really call it a problem, were two very large areas of heavy rain now drifting into our path far up ahead, from two almost opposite directions. Precipitation in the form of moderate rains with moderate icing conditions was being pulled from the frigid peaks of the northern Rockies. It was riding the counter clockwise rotation on a high pressure roundabout and coming straight towards us. - And rotating in the opposite direction directly to the south, with its own supply of moisture stolen from the peaks of the central Rockies, was the second band of weather that was also headed right at us. And what's more, the warm air from the south contained scattered convective activity. You didn't need radar to recognize the anvil shapes in the high cloud tops that we could see to the south and south west. These two great rivers of air were bearing down on us with near perfectly synchronicity. It was a bit like flying into an ambush that was being set up by nature herself, who lay provocatively right across our route of flight. I don't think that I am being over dramatic when I say that watching this unfold for me was a bit like being there with Frodo and Sam and watching the great gate of doom at the entrance to Mordor, as it majestically rumbled closed right before our eyes! Well OK. Maybe just a tad! Up to this point Wayne's GPS had been our best friend and redoubtably the star of the show. This wonderful piece of technical gadgetry gave us not only our ground speed and direction of flight, along with ETA and ground terrain details as most GPS receivers will do, this GPS also received a real time overlay in glorious colors, of local and national weather radar maps. This was my first experience with a "496" and when I think what I could have done with a tool like this when I flew on demand air charter. I just have to shake me head in awe and wonder. The thing about this very interesting development that bothered me the most was the south west direction that we were flying, because our fuel reserves were going to be close to minimums on our arrival. Any detour would make the flight impossible without a fuel stop, and a fuel stop would mean that Wayne would miss his flight to Utah. I figured that given the head wind component and calculated at best power, we could just make it to Denver with a almost an hour of fuel onboard - 51 minutes to be exact. It was going to be dark on our arrival so we needed at least 45 minutes to be legal. However, my calculations hadn't allowed for any prolonged deviations from course. I am writing to people who fly I guess, so you all understand the 1 in 60 rule of navigation I suppose? For those that don't, that rule states that for every degree that you are off course you will be a mile off you target in 60 miles. We were doing 60 miles every 19 minutes, so every 19 minutes flying at 60 degrees off course we were putting ourselves 60 miles south of the course we needed to be on, and that would be over 90 miles too far south after just 30 minutes! We just didn't have enough fuel on board to take that kind of detour and somehow I had to get Wayne to see my point. He was still determined that he would not under any circumstances allow the airplane to turn back on course, not if that meant steering into the clouds with the crimson linings! According to the GPS the highest tops of the clouds to the right and on our course were at about 15.000 feet. We were already at 14,000 feet so Wayne wanted to climb. And it is true that we could have gone to 16,000 but that might not have done it for us and so 18,000 was really our higher option, which in a Cessna 340 is easily doable, but it would slow us down and dramatically increase our fuel consumption and the head winds. Of course Wayne would have wanted to fly south till we got to 18,000... I don't remember how long negotiations took, but eventually I did get him to trust me and turn right and back on course for Denver, and so into those red clouds we boldly went. And then things got even more interesting! Well the first thing that happened in the clouds was, the airplane was instantly covered in a glistening coat of frosty white ice droplets as the rain from above us fell into the colder air and froze to the aircraft. But again, everything was really OK. I had closely scrutinized the boots and tested the pitot heat on the preflight. After all, this airplane we were flying was certified for flight into known ice! What's more, it gave us the perfect opportunity to test things like the boots, the hot props, the hot windshield, the pitot heat and so on. Then, as we flew along quite by accident our heading drifted just slightly to the left, the rain stopped freezing to the airplane as we crossed the frontal boundary into the warmer air, and all of the ice now was washed off by the rain. We turned 10 degrees to the right and the sure enough we crossed back through the frontal boundary and the ice started to stick again! Another turn left and it all washed off again! This was fun! We were obviously riding along the seam between the two different air masses. With tops of only 15,000 and no vertical development to be seen, I was confident that there was no convective activity. The onboard weather radar agreed, by the way! Also, the rain wasn't really heavy; light to moderate is what it really was, and mostly light at that! It didn't take long to be out of the clouds and back into VFR skies, but now they were getting dark as the sun was out pacing us and we were being overtaken by the long shadow of night. Having taken those detours we were now back on course with still a little over 2 hours of flight time to Denver, and I was getting concerned about our fuel consumption. What if we gat a lot more vectors from Denver approach? We decided if that happened that we would declare a low fuel situation and demand priority, Now I have been a joiner all my life, but there is one club that I want no part of membership in, and that is the "pilot's high and dry club." That's the club you get instant membership to if you run out of gas during flight. I have steadfastly avoided joining that club for 35 years and I was feeling too old to be joining it now! I knew that it was only two hours of savings if I were to do it now but I pulled the power back from 75% being used to make the flight to Utah, back to 55% in the hope that we would make it non stop! So if you go from burning 42 ghp to burning 36 gph you will save 12 gallons of gas flying on a two hour flight. It was chillingly interesting then when we landed and filled up at Fort Nelson at the end of the day to find that is exactly what we had left on board! There were just 15 gals in one tank and 11 in the other. Wayne missed his flight to Utah, but he got his first taste of flying in the weather, and we both got a very sharp reminded that in aviation, you plan your flight and then you fly your plan. Airplanes don't plan their own flights, and it is always suspect when the airplane develops a mind of its own! When I finally connected with the world of flight many years later, my pent-up enthusiasm served me well. I loved it just as much as I thought I would as a child, and I've been able make a living doing what I love best in the world for most of my life. I've never taken the gift of flight for granted, and even after so many years and many thousands of flight hours, I still feel an inexpressible thrill at each takeoff. At the instant my aircraft's wheels leave the earth and I'm magically borne on the invisible air, I know again that my childhood dream came true.